For better or worse, as we get older, our skin changes. It can change both in pigment and texture. Sunspots (also known as liver spots) are those little dark spots that can often be mistaken for freckles. But what causes sunspots on skin and is there any way to prevent these common age markers? Let this article be your small guide to sunspots. We will examine the causes of sunspots, how to get rid of sunspots on the skin, and how you may be able to prevent sunspots on the skin before they begin. What Causes Sunspots on Skin? Sunspots are spots on the skin that are darker than your natural skin tone. They may be slightly raised and even a little bumpy. Essentially, sunspots are skin damage caused by exposure to the ultraviolet rays of the sun. The sunspots usually appear in areas regularly exposed to sunlight like the face, hands, shoulders, and arms. If you are bald, sunspots can appear on your scalp. Sunspots tend to increase with age as the skin has a harder time repairing the damage of ultraviolet light. Originally, sunspots were thought to be tied to the health of the liver and liver disease, hence the term, liver spots. This turns out to be completely false as there is no connection between sunspots and the liver. Despite their similar appearance, sunspots are also not the same as freckles. Freckles are caused by sunlight but tend to be smaller than sunspots. Freckles can also be inherited, while sunspots can appear on anyone of any age. Now that we know what causes sunspots, is there any way to prevent them? Of if you do get sunspots, is there any way of getting rid of them? Fortunately, we have the answers to both questions below. Now that you know about the general causes of sunspots, the first question to deal with is “Is there any way of preventing sunspots on the skin?” Luckily, the answer is basically yes. There are ways to prevent sunspots, most of which are fairly simple. The sun’s ultraviolet rays cause sunspots. The easiest way to avoid this damage is to just avoid sunlight. To be fair, avoiding the sun is easier said than done. If possible, avoid exposure to the sun between 10 a.m. and 1 p.m. as UV rays are strongest at these times. To avoid getting sunspots on the most common areas, cover up when you are out in the sun. Wide-brimmed hats, for example, can keep your face out of the sunlight. If you are bald, they can also protect your scalp from sunspots. Wear long sleeves while out in the sun to protect your arms from sunspots. If you want even more protection, certain clothing items can protect you from ultraviolet light damage. Wearing sunglasses can also help reduce the amount of UV rays hitting the areas around your eyes and face that the sunglasses cover. 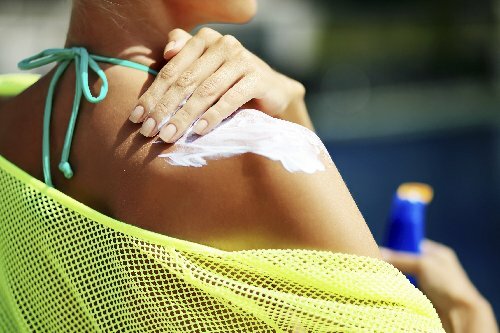 If you are going to be out in the sun for longer periods of time without cover, your next best defense is sunscreen. Specifically, you want sunscreen with a sun protection factor (SPF) of 30 or more. You should also apply the sunscreen at least fifteen minutes before going out in the sun for it to take full effect. Some makeup brands have built-in sunscreen that will help protect your face from the damages of ultraviolet rays. Once again, you want to look for an SPF rating of 30 or higher. This a general rule for many aspects of your health, but there are certain factors of smoking that apply to sunspots. 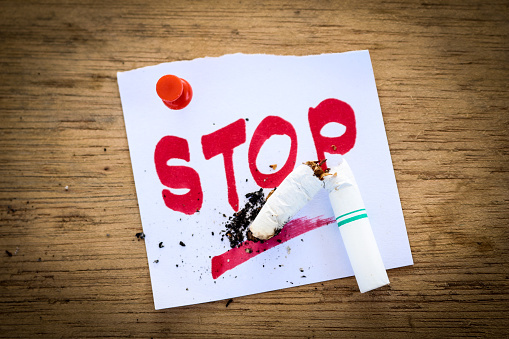 Long-term smoking can cause your skin to age prematurely. That accelerated aging can help trigger sunspots. All of these methods are useful for preventing sunspots, but what if you already have them? Even light sunspots on the skin may cause some insecurity. There are at-home remedies that may help you get rid of sunspots on the skin. In fact, there are a few ways to treat sunspots. As we previously noted, avoiding the sun is pretty hard. Avoiding age is even harder. Despite the difficulty of managing these two main causes, there are a few sunspots on skin treatments that may work for you. 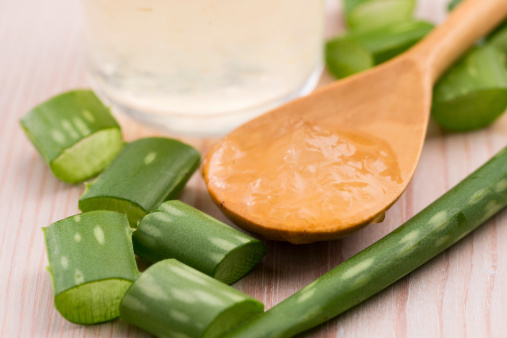 Aloe vera has long been used to treat sunburns, so it makes sense that it may also be useful for treating sunspots. The plant can help repair damage to the skin. One quick way to use aloe vera is to use the fresh juice from an aloe vera plant. Adding watermelons to your diet may help you get rid of sunspots. Watermelons are a natural source of lycopene, which can help prevent damage from ultraviolet light. Alternatively, it can be rubbed on sunspots to fade them. Essentially, rub fresh watermelon on the sunspot and allow it to sit for 30 minutes. Wash off the watermelon and repeat this at least three times a week. Buttermilk may be useful for lightening sunspots that have appeared, but it reportedly works better on sunspots that aren’t on the face. Just rub a little buttermilk into the sunspot and then wash it off after a few minutes. Apple cider vinegar may also help lighten and possibly remove sunspots by rubbing it into the sunspot. It seems to work better in the facial areas and is more powerful when mixed with some lemon juice. 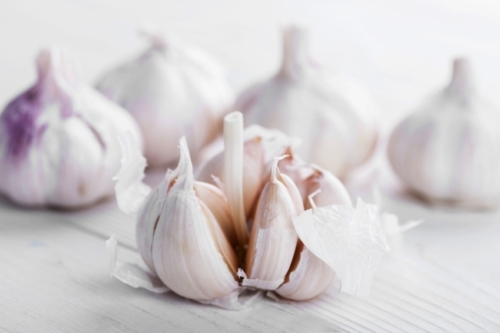 Fresh garlic, when consumed or applied to a sunspot, may lighten the color of the sunspot. As we noted earlier, lemon juice can boost the properties of apple cider vinegar, but it may also help reduce the appearance of sunspots on its own. Let the lemon juice sit on the sunspot for approximately 10 minutes, but make sure to avoid the sun during this time. Oatmeal does a great job of moisturizing skin, which can help repair damage. You can use oatmeal as a mask or in a bath to help lighten sunspots. 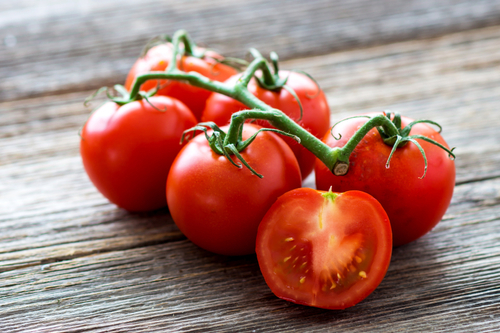 Tomatoes have a combination of enzymes and antioxidants that may help the skin repair itself. Apply fresh tomato juice to your skin, wait 30 minutes, and then wash off. Cucumbers have been often used for skin repair and lightening. Use it as part of a mask or apply it directly to your skin. Honey has been used to fade scars and lighten skin and sunspots for ages. It works well when combined with lemon juice as part of a face pack. 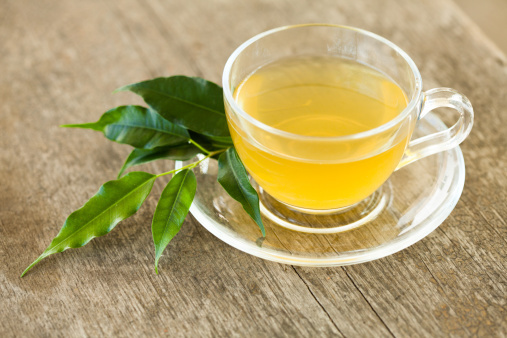 Often used to rid people of the dark circles under the eyes, green tea may also have a similar effect on sunspots. Make a cup of green tea and remove the bag. Squeeze the tea bag’s liquid onto a cotton ball. Rub the cotton ball over sunspots twice a day. Vitamin E is a great vitamin to help with skin repair. For a direct approach, take a vitamin E capsule and squeeze out its contents. Rub the vitamin E into the sunspot area. Leave it for a few minutes and then rinse off. Repeat this twice a day. Sunspots on skin are kind of a part of life. They occur due to sunlight exposure and age, and neither of those things is easy to avoid. But that doesn’t mean you have to accept them. Take the appropriate steps to prevent them. And if you treat them when they do occur, they may be less noticeable. Chandni, “How To Get Rid Of Sunspots on Face and Skin,” Natural Beauty Tips; http://naturalbeautytips.co/how-to-get-rid-of-sunspots-on-face-and-skin/, last accessed March 9, 2017. 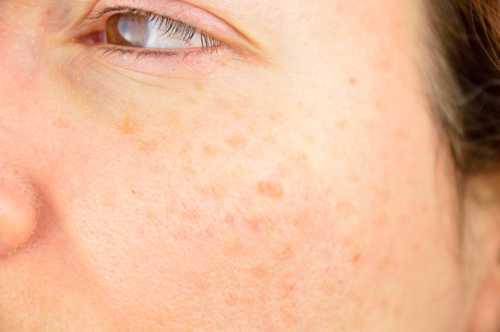 “How to Prevent Sun Spots on Skin,” WikiHow; http://www.wikihow.com/Prevent-Sun-Spots-on-Skin, last accessed March 9. 2017. Sandoval, D., “7 Ways To Prevent Sun Spots On Your Face & Avoid Skin Pigmentation,” Bustle, March 11, 2016; https://www.bustle.com/articles/145631-7-ways-to-prevent-sun-spots-on-your-face-avoid-skin-pigmentation, last accessed March, 9 2017. “What is the Difference Between Freckles and Age Spots,” Invincible Scars; http://scarsandspots.com/difference-freckles-age-spots/, last accessed March 9, 2017. “19 Natural Ways to Get Rid of Sunspots on Face,” Hira Beauty Tips, http://hirabeautytips.com/get-rid-of-sunspots-on-face/, last accessed March 9, 2017.